Drs. 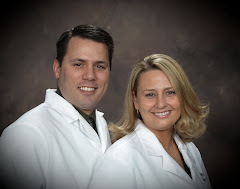 Matt and Tammi Schaeferle are general dentists with office locations in Columbus, Crestline, and Kenton, Ohio. We are passionate about creating beautiful, lasting restorations for all of our patients. Although regular visits to a skilled dentist is important, oral education and homecare is paramount in maintaining a healthy smile. To this end, we decided to create a blog about our dental practice philosophy and general dental topics that can hopefully be of use to our readers. Poor oral health and lack of professional dental care can lead to plaque buildup and tartar formation. Without professional tartar removal and improved oral hygiene, this will progress to periodontitis (gum disease). Recent evidence suggests a noticeable relationship with gum disease and its connection with heart disease, diabetes and among pregnant women, premature and low birth weight babies. What is the association between oral health and your heart? • Studies show that oral inflammation and bacteria associated with gum disease is associated with the development of heart disease. • One way that harmful oral bacteria can cause damage is by directly entering the bloodstream through the infected gums. Infected gums are very vascular (have a good blood supply), which is why they can appear red and bleed easily. The bacteria are filtered out by the kidneys and liver, where they may colonize and create infections. The bacteria also can attach to the heart valves, causing vegetative endocarditis (infected heart valves). • At the same time the gum infection causes an inflammatory reaction. “Inflammation” is the process by which the body responds to injury or an infection. Laboratory evidence and findings from clinical and population studies shows that inflammation leads to atherosclerosis This is the process in which fatty deposits build up in the inner lining of arteries. • Both theories suggest that these conditions will lead to increased risk of blood clots and contribute to heart disease. What is the association between diabetes and oral health? • Diabetes affects your oral health, and your oral health affects your diabetes. • Studies show that gum disease is more difficult to manage and /or eliminate in patients with diabetes. • When your blood sugar levels are poorly controlled, the following oral conditions can develop: gum disease, tooth loss, thrush, a fungal infection of the mouth, and dry mouth. • And recent evidence suggests that gum disease adversely affects a person with diabetes in controlling his/her blood sugar levels. What is the association between pregnancy and oral health? • When you are pregnant, the increased level of hormones affect the way gums react to irritants in plaque. • Research in pregnant patients with gum disease suggests that when the plaque bacteria and inflammatory proteins enters the blood stream it contributes to the incidence of preterm, low birth weight babies. • Make sure your dentist and hygienist know if you have a heart problem, diabetes, or any other medical condition. • Eat healthy, exercise and if you smoke, quit. Taking measures to keep your mouth clean is essential for excellent dental health. A daily oral hygiene regimen is needed to remove the oral bacteria that cause tooth decay and gum disease. And good oral hygiene not only helps prevent cavities, but is necessary to battle bad breath. After all, we go to great lengths to look and smell pretty -- why not treat our mouth as well as we treat our bodies? Making an effort to focus on your dental health will not only produce a dazzling smile, but has some added benefits as well. Since oral health is linked to overall health, good oral hygiene can improve your well-being. If gums become infected with periodontal disease, harmful bacteria can actually enter the bloodstream and make its way to other parts of the body. Dentists recommend you brush at least twice a day and after meals. After eating, sugars and carbohydrates from food left on teeth combine with the bacteria in your mouth. This produces acids that attack your teeth, leaving you susceptible to tooth decay. Brushing after eating will help remove food and bacteria and reduce your chances of getting dental cavities. Learning how to brush properly is vital. For proper brushing techniques, hold your toothbrush at a 45-degree angle towards the gums. Brush in a back-and-forth and slightly circular motion, making sure to reach every surface of each tooth. And don't forget the tongue -- brushing the tongue will further remove the bacteria that cause bad breath! Remember, a great way to optimum dental health is to brush as effectively as possible, not harder. You should brush for at least two minutes to remove as much dental plaque as possible. Harder brushing won't actually get teeth cleaner -- it can irritate the tissues in your mouth and actually cause gum damage! Use only a soft-bristled toothbrush to protect your gums, and be sure to replace your toothbrush every three months. No matter how well you brush, there are some areas you just won't be able to reach. Flossing removes dental plaque that's hiding in between teeth. Learn how to floss properly with these tips: Start by holding the floss securely with each hand, and ease the floss between teeth. Gently rub the floss up and down, and curve it towards each tooth to cover more surface area. Once you reach the top, slide it under your gum line to remove plaque from beneath the gums. Antibacterial mouthwashes can also remove the bacteria that cause dental plaque. This helps prevent gingivitis, the first stage of gum disease. Like fluoride toothpastes, fluoride rinses help strengthen teeth and prevent tooth decay. You're probably surprised by this one! But healthy eating habits are an equally important part of your oral hygiene regimen. Since sugars and carbs promote tooth decay, the more you eat, the better chances you have of ruining your teeth! Instead, focus on protecting your oral health by eating nutritional foods. Regardless of how well you practice oral hygiene at home, regular dental visits every six months are essential to your dental health. A professional dental cleaning will remove dental tartar that you can't remove on your own. If necessary, your dentist may even perform an in-office fluoride dental treatment. And an exam is not only a good time for a checkup, but for checking in -- a dental hygienist can provide tips on brushing and flossing, and show you areas that need improvement in your oral hygiene routine. What happens when you don't practice proper oral hygiene on a daily basis? Well, not to mention the bad breath problems you're likely to encounter, you'll be a shoe-in for many dental problems, which can lead to tooth loss! And without flossing, cavities can form between teeth, which are harder to spot and even more difficult to treat. Welcome to Schaeferle & Schaeferle Dental Blog. On this site I will be posting updates for both our practice and general dental issues. Please call or blog if there is a topic that you would like to see discussed. Thanks you for reading.